Someone sent me the above picture today, and introduced me to the plight of young Gabby Millay. She is 6 years old, and as you can see in the pic — she honestly comes by her self-proclaimed title as World’s Biggest Spider-Man Fan. 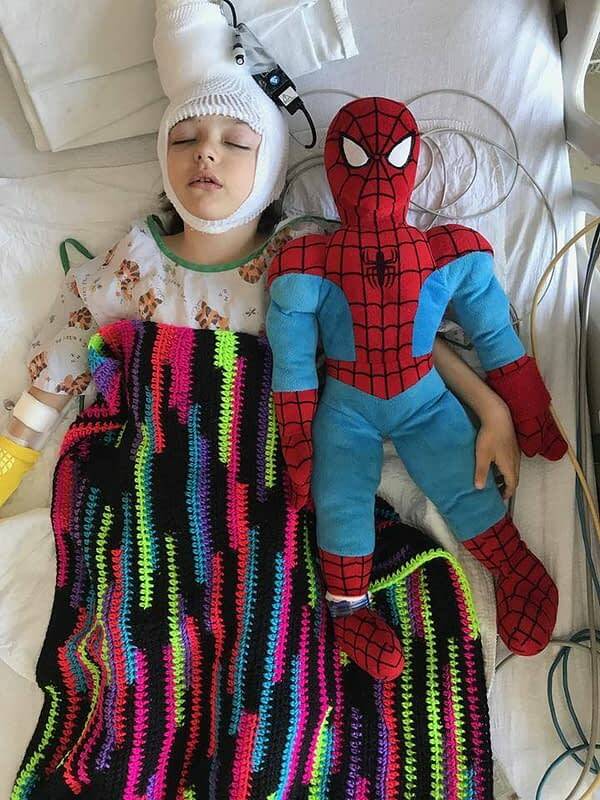 My friend told me Gabby was one year old when her medical problems started to manifest, and it was at that time Gabby bonded with Spider-Man. Ask her how she is holding up and Gabby will tell you she’s as strong as her hero, Spider-Man. On Wednesday she’s going to be having the third (I believe) of four surgeries on her brain. I look at that picture of Gabby and it is so heartbreaking and so inspirational at the same time. Heartbreaking, because children are supposed to be running and playing and living a life free of pain. Gabby’s family friends asked if I could get her a comic book signed by the creator of Spider-Man. I immediately jotted off an email to Stan Lee. But I’d like to ask my fellow comic book creators to go one step farther. As you can imagine Gabby is going to be recovering from her surgery for a while, and in an effort to keep her spirits up, I’d like to ask all my comic book ARTIST FRIENDS to send her a signed print or a sketch of her favorite hero. I ask my comic book WRITER FRIENDS — if you’ve worked on Spider-Man, drop a signed comic or a trade paperback or maybe even one of those action figures I know you have on your desk to the address below. If you’re neither — that’s okay. Just take a moment to think about Gabby on Wednesday. Marvel at her strength and wish her well. And if you’re a parent or a grandparent, hold your child or grandchild just a little tighter tonight and thank God for their smile and their presence in your life. You don’t need me to tell you there is no greater gift in the entire world than a child.